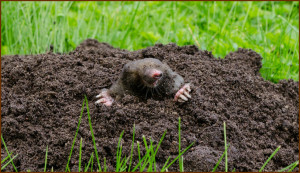 Mole Trapping and Mole Removal is a common service provided by Animal Control Solutions throughout Alexandria and the surrounding areas. Though Moles are active year round, the most active months are during the Spring and Summer months. During the Spring and Summer months, they will find a safe area to have their young. They will venture out during the colder months to find food, though this takes some work as they have to burrow under the frozen ground. 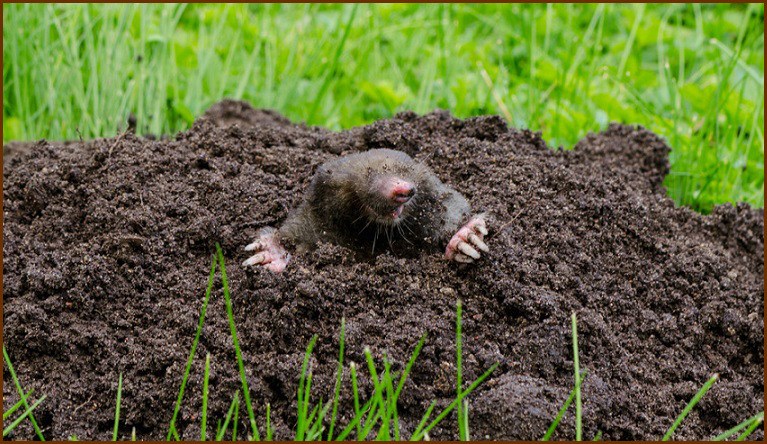 In order to completely remove Moles from your property, you must take an aggressive approach toward the situation. An aggressive and extensive trapping program is necessary and should only be done through a professional Wildlife Removal company, such as Animal Control Solutions. After the Mole has been removed, it is important to remove any food sources that the Moles have access to and might entice other wild animals to venture onto your property. If you feel you have a Mole problem, contact Animal Control Solutions today at 703-881-3170 to schedule an appointment with our highly trained Wildlife Technicians.